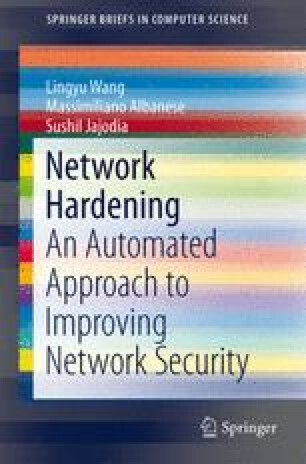 In this book, we have reviewed several automated solutions for hardening a network against sophisticated multi-step intrusions. After reviewing necessary background information, we described a network hardening technique for automatically generating hardening solutions comprised of only initial conditions. Such a solution was more enforceable than previous approaches that aim to break attack paths. After discussing limitations of this approach, including the complexity issue and the assumption of independent initial conditions, we then pursued an improved heuristic technique to remove such an assumption and to achieve a near-optimal approximation while scaling linearly with the size of the inputs. We have validated the performance of this approach through experiments conducted on synthetic yet realistic attack graphs.